As we expand our reach on a global basis, we are frequently asked to participate in forums and conferences around the world. 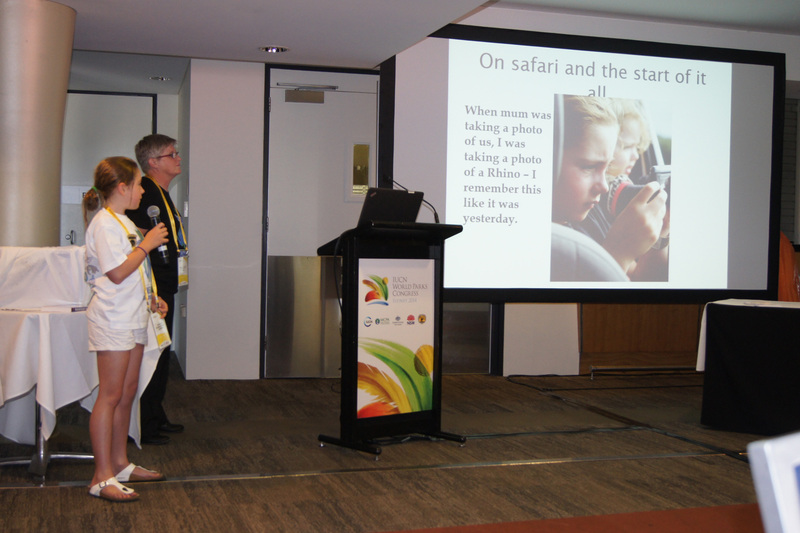 Recently our Australian board members were asked to take part in the World Parks Congress in Sydney Australia where they conducted two sessions which touched on the importance of getting youth involved in conservation. 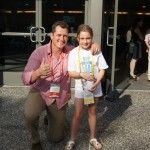 Ava’s message was well received and fit in perfectly with the mission of the conference. 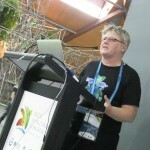 The IUCN World Parks Congress 2014 is a landmark global forum on protected areas. 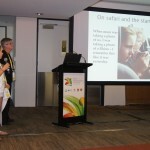 The Congress shared knowledge and innovation, setting the agenda for protected areas conservation for the decade to come. Building on the theme “Parks, people, planet: inspiring solutions“, the conference was able to present, discuss and create original approaches for conservation and development, helping to address the gap in the conservation and sustainable development agenda and in particular the need to engage the leaders of tomorrow. Ava is also working to build girls toilets at schools so they will go to school. The building work will help give locals work. 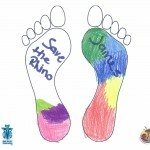 The buildings will have Rhinos painted on them to raise their profile. 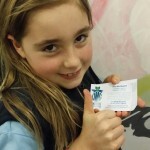 Local schools have agreed that with Ava’s help they will use education packs (we will give them). These packs educate about their wildlife and what’s so AMAZING about them. Ava’s goal is to get the locals to love their animals and not poach them. 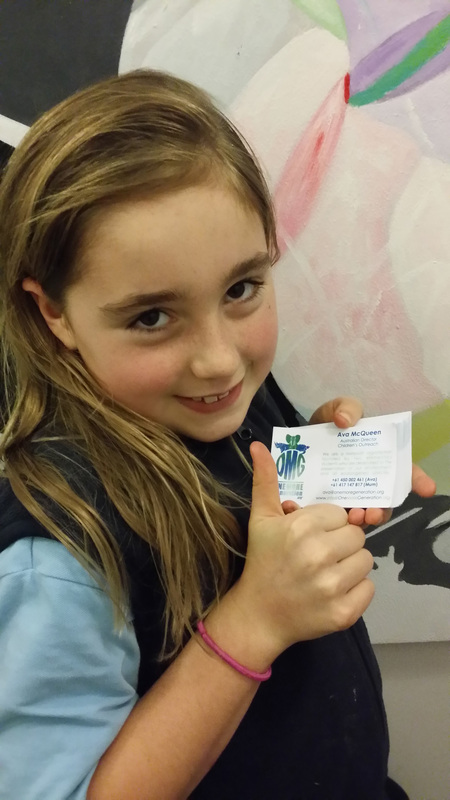 On her 9th birthday, Ava accepted donations instead of gifts. 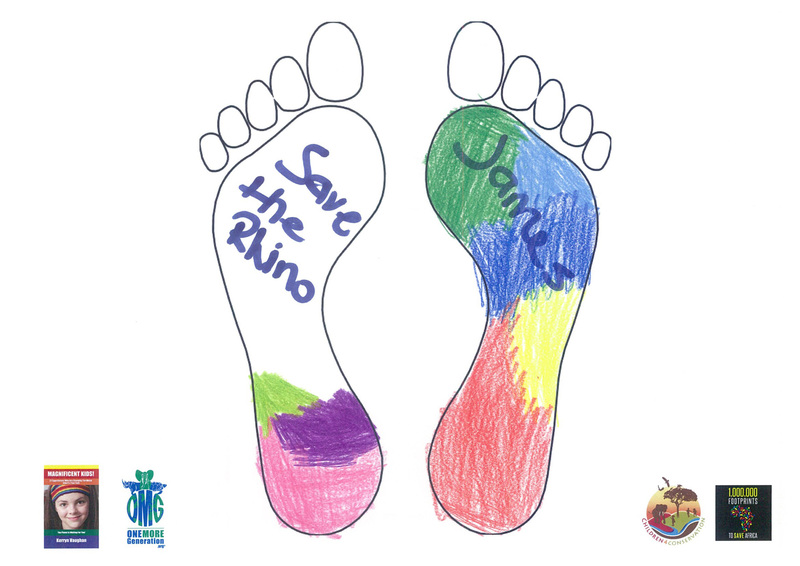 Ava attended the Rhino and Elephant march on October of 2014 to raise awareness to the issue to her peers. Ava was interviewed by several organizations including Cheryl Charles from Children & Nature Network who loved Ava’s message and courage to stand up and deliver her presentation so passionately. Ava is a perfect example of the power of today’s youth and their willingness to take on even the most daunting of tasks. If you would like to get Ava to speak at your local event in the Melbourne area, please send us an email anytime, or feel free to email Ava directly at ‘ava@onemoregeneration.org’. 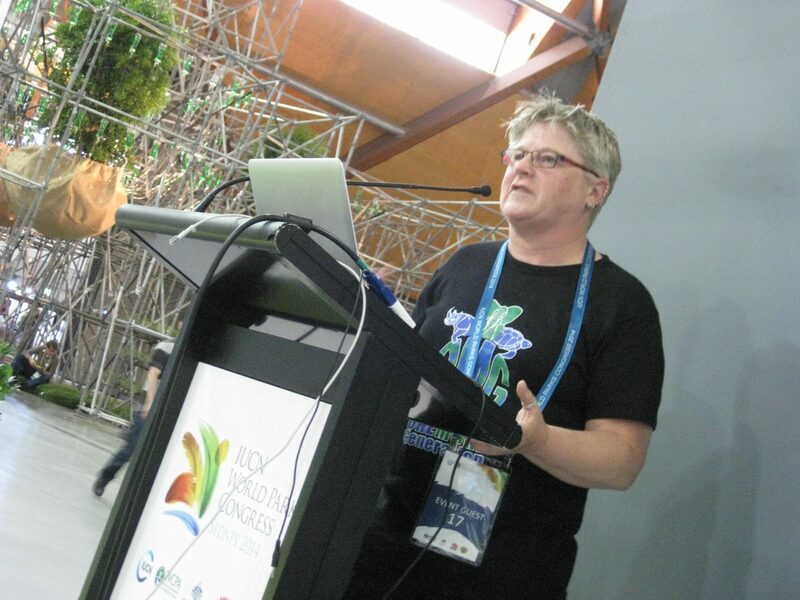 The second session that OMG was invited to conduct was held by our very own Kerryn Vaughan – who is our Community Engagement Advisor for Australia. Kerry is also the brilliant author of the award winning book ‘Magnificent Kids!’ which focuses on empowering young people to contribute to a kinder, more sustainable world. Through her book she has been able to create a multitude of networks amongst youth and others who care about making a difference. 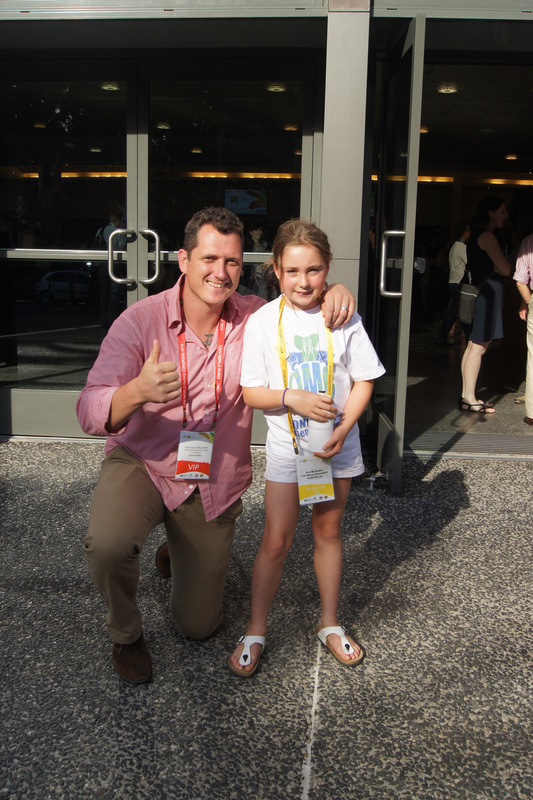 While writing ‘Magnificent Kids!’, Kerryn developed a strong relationship with the founders of One More Generation, Carter & Olivia, and she was tickled when they invited her to be one of our Board Members. 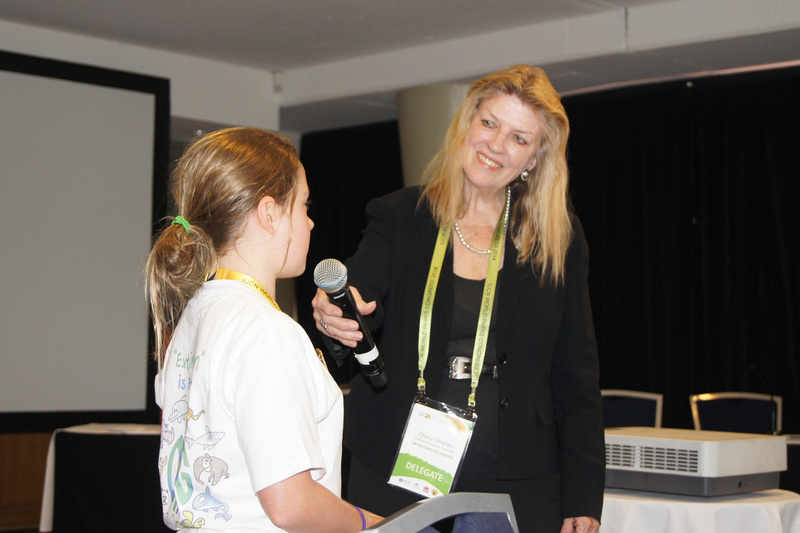 Kerryn is a highly skilled inspirational speaker and as a result of Kerryn’s recent presentations, hundreds of school children are now involved in efforts to save endangered species. 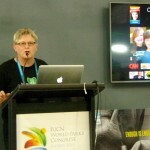 Not surprising, Kerryn’s life mantra states, ‘If we can make a difference, why wouldn’t we?’ Kerryn’s expertise in the area of youth empowerment made her the perfect speaker at the World Parks Congress where she also helped us spread the word about the 1,000,000 Footprints To Save Africa campaign we are working on. 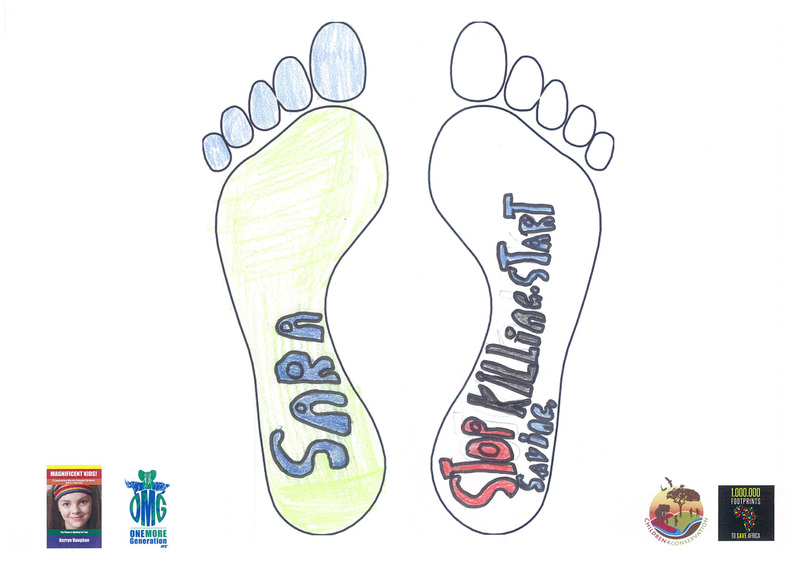 Kerryn set-up an area where participants at the conference could take off their shoes and place their footprints on paper to show support for saving all the animals in Africa which are on the brink of extinction. 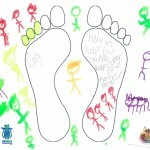 Normally we ask participants to step in paint but since most of the attendees were dressed in business cloths, Kerryn improvised and helped everyone trace around their foot and sign their names. 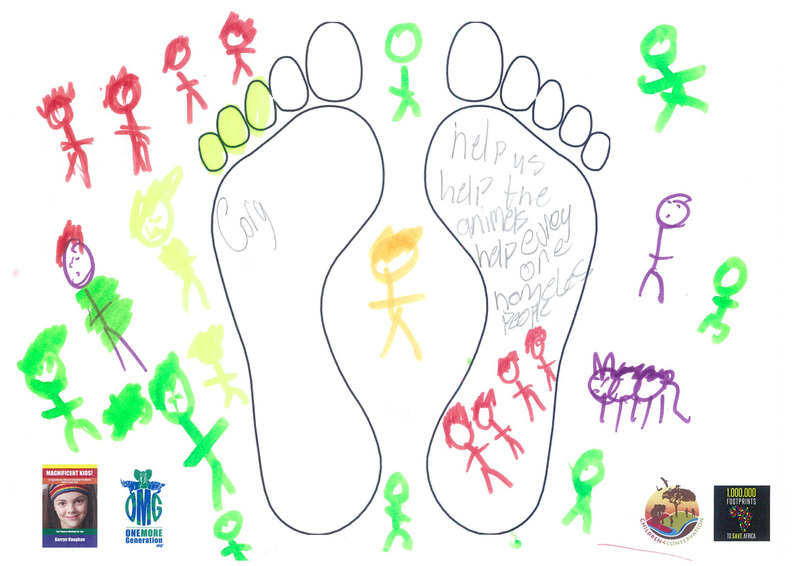 The concept was very well received and Kerryn helped collect lots of footprints which will all be added to the over 20,000 footprints already collected from around the world. If you would like to contact Kerryn you can reach her directly at kerryn@onemoregeneration.org or send us an email and we will help coordinate a Skype call with Kerryn promptly. If you have not already purchased your copy of Kerry’s book, please visit her website her and do so now. You will be glad you did.